An attention grabbing read with a powerful sheikh and the one that got away! The last person Arden Wills expects to see at a society party she’s talked into attending is her one and only love! She learns he is royalty as a name she doesn’t recognize. Sheikh Idris Baddour is surprised to see Arden, and can’t resist looking her up after the party. Imagine his surprise when it turns into a media frenzy that alerts him to a son he knew nothing about! 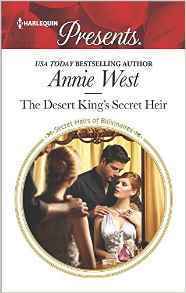 To avoid further scandal and unrest in his country, he needs to marry her and legitimize his heir. The attraction flares between them like it was only yesterday that they were lovers, but years have passed and hurt has festered. Are they only fooling themselves that they can make this work for their son?